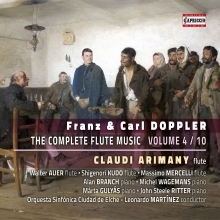 The Doppler brothers played a dominant role in the K&K Monarchy’s musical life as composers, conductors, musicians and as orchestral soloists. 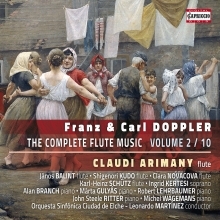 They were on good terms with acknowledged artists of the era, such as Ferenc Liszt, Ferenc Erkel, or Jozsef Bajza. 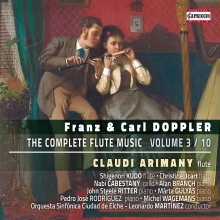 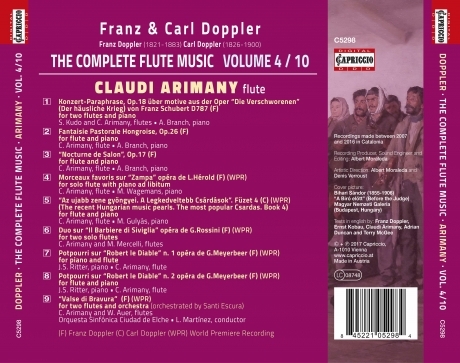 This is the fourth release in a set of 10 CDs comprising the Dopplers' complete music for flute(s), including various arrangements. 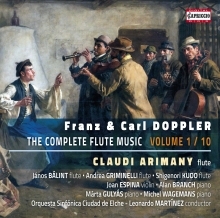 Flautist Claudi Arimany spent decades researching this project, inspiring many famous musicians to become involved in its realisation.